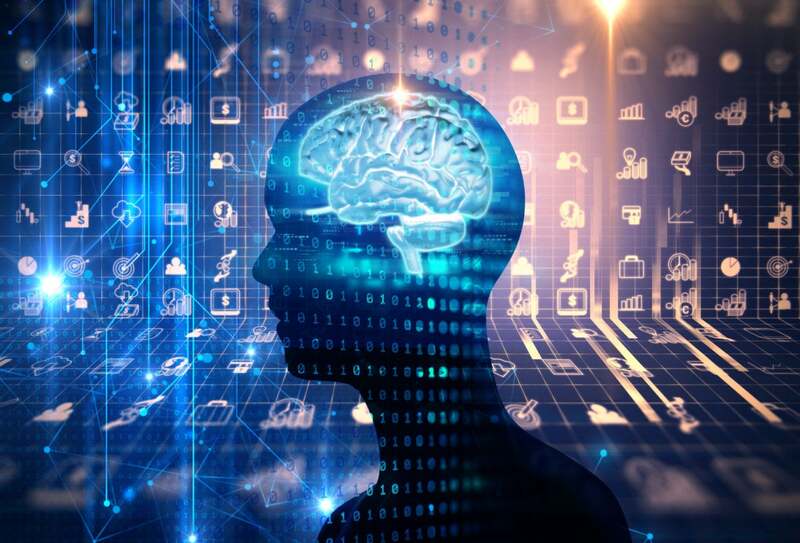 Artificial intelligence is transitioning from an emerging technology to one that more enterprises are piloting and incorporating into their digital transformation programs. Some recent surveys and predictions show that an increasing number of enterprises are making investments in all forms of AI and there is a growing interest in experimenting with deep learning. One of IDC’s digital transformation predictions is that by 2019, forty percent of digital transformation initiatives will be supported by cognitive and artificial intelligence capabilities. In O’Reilly’s survey on how companies are putting AI to work through deep learning, fifty-four percent of respondents predict that deep learning will play a large or essential role in future projects with twenty four percent of respondents applying it to computer vision and text mining problems. In addition, deep learning is still in early stages of adoption with only twenty eight percent of respondents already using deep learning and a majority seventy-one percent have not yet started. In another survey on the state of artificial intelligence in enterprises, eighty percent of respondents claimed they have AI capabilities currently in production with product innovation and customer service the top two revenue drivers from AI today. I spoke with O’Reilly Media’s chief data scientist, Ben Lorica on the state of deep learning in the enterprise to get further insights. “It’s a bit early to judge AI,” says Ben who believes that many enterprises that have data science and machine learning groups will extend their experimentation and explore deep learning. Deep learning lies at the intersection of big data, big model, and big compute. It requires a large volume of training data and knowledge of how to configure deep learning algorithms. For this reason, Ben believes many enterprises experimenting with deep learning are following a partnering strategy. There are many startups experimenting with visual search and consulting companies that can help organizations apply deep leaning to different data problems such as discerning insights from time series data. In addition, enterprises looking to experiment with chatbots have many solution providers to select from but should be prepared to participate in developing the conversational models. In terms of deep learning technology, sixty-one percent of respondents to the O’Reilly survey are experimenting with TensorFlow. Ben suggests that enterprises that have already invested in a spark computing cluster may want to review Intel’s BigDL since it runs on top of this infrastructure. In addition, enterprises should monitor the developments of ONNX, a community project created by Facebook and Microsoft aiming to drive greater interoperability between AI tools. Digital transformation programs center around adopting digital business models, improving customer experiences, and leveraging data and analytics to improve the competitiveness of the organization. Organizations looking to develop a competitive edge in their products should explore embedding artificial intelligence capabilities into their products and services. Sometimes this can be accomplished with more mature areas of artificial intelligence. For example, organizations can leverage natural language processing engines to identify entities and common terms on their web pages and hyperlink them. Retail organizations can leverage recommendation engines to help suggest similar products based on a customer’s purchasing and browsing behaviors. Organizations with legacy back office systems can explore using robotic process automation (RPAs) to automate tasks. But when products leverage large volumes of complex, multi-dimensional, semi-structured and fast- moving data it is difficult to discern patterns from the data and enable human-like and sometimes beyond human decision-making capabilities. In enterprises, examples include flagging safety issues in manufacturing plants, finding insights from large streams of IoT generated data, identifying fraudulent bank transactions, or building computer vision capabilities into mobile experiences. Deep learning is a data and technical capability for organizations looking to develop these data rich experiences into their platforms and product offerings. Like any new technology or data capability, CIO should consider how best to educate select members of their organization. According to the O’Reilly survey, seventy percent of respondents reported that their organizations had in-house training programs. In house efforts can also be coupled with programs from third parties, attending conferences, and performing pilots with startups. There is also an emerging group of local organizations such as Atlanta Applied Artificial Intelligence and Dallas AI that are offering both events and training programs around how AI is being applied in their cities. But experts agree that the start of AI and deep learning programs must start by formulating a business hypothesis around where these algorithms may provide the most strategic business value. AI, and deep learning requires a form of agile experimentation that requires running data sets through different algorithms, network topologies, and tuning strategies that optimize results and performance. This is not an investment where CIO can project quick wins or rapid return on investments. Second, CIO should be looking to catalog, cleanse, and tag data sets that are promising candidates for deep learning experiments. The adage of “garbage in, garbage out” very much applies to deep learning experiments and tagging data to be used to train deep learning algorithms can be an investment all in by itself. Deep learning is ushering in a new era of computing that is mathematically driven and performed at large scales. Instead of programming rules and heuristics, networks of computing nodes are tuned by complex patterns and converge on intricate decision curves. As the science matures, it will be easier for CIO to leverage talent and platforms. The question CIO must help answer for their organizations is when to get started and what opportunities to attack.